Rocco and I got the VIP treatment! This past weekend Rocco and I had the chance to attend the Purina Pro Plan Incredible Dog Challenge Eastern Regionals in Atlanta. 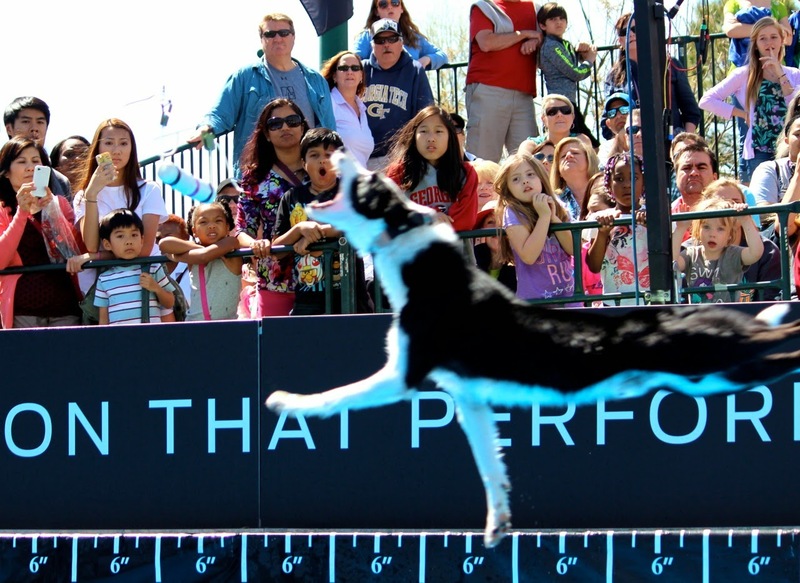 It's a terrific event and an overall super fun day filled with all sorts of performance dog events. And even better yet, it's free to come watch and enjoy the show! If you have one of these events in your neck of the woods, I highly recommend attending. Rocco and I had a blast, and we even enjoyed VIP treatment courtesy of Purina! Upcoming events include the Western Regionals in Huntington Beach, Calif., on May 30-31 and the National Finals in St. Louis on September 26-27. We knew several of the competitors which made it even more fun. 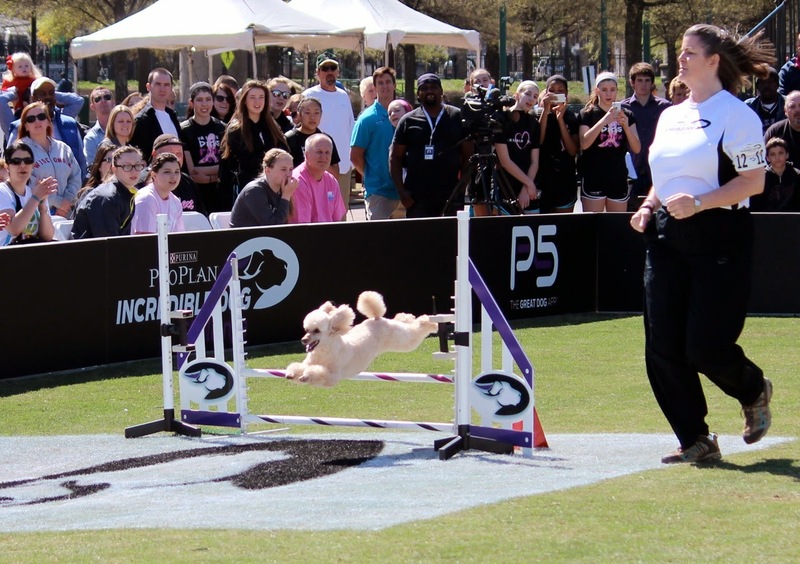 We hope someday to compete in this event ourselves, but Rocco is just starting out on his agility career. 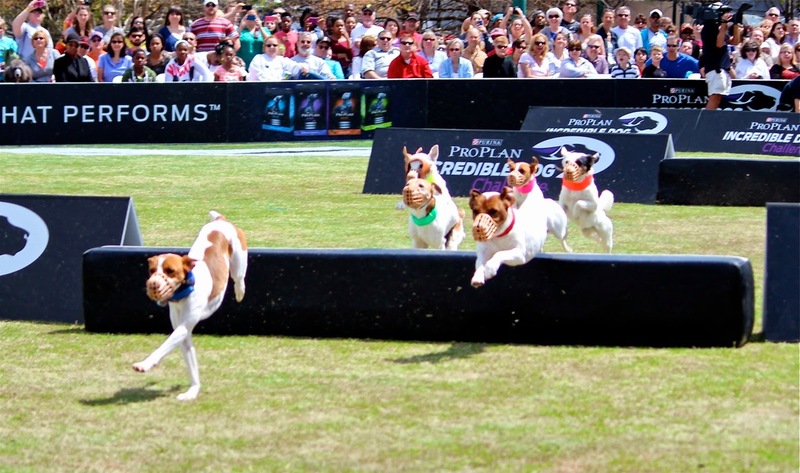 In fact, this weekend we're competing in our first real agility trial! We'll let you know how it goes. 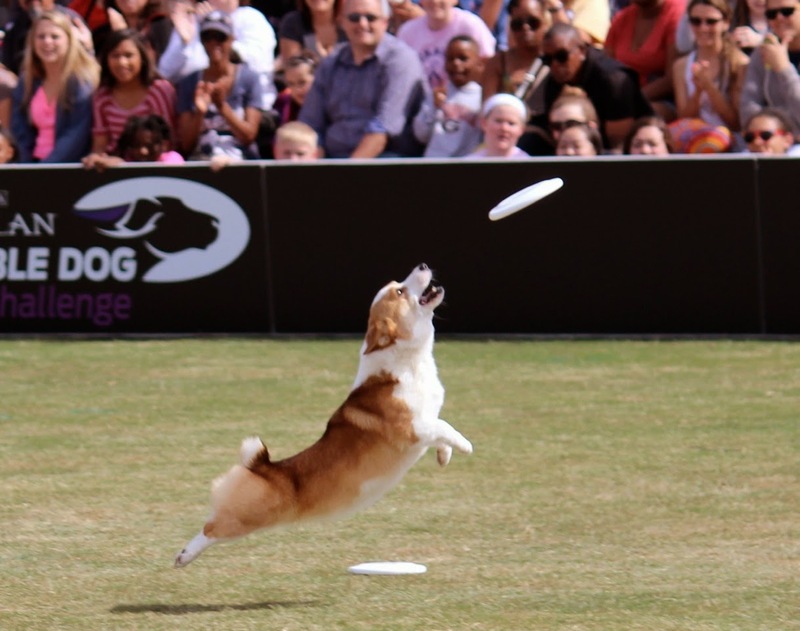 The Incredible Dog Challenge offers a variety of events, including Agility, Diving Dogs, Jack Russell Hurdle Racing, Fetch It!, 30 Weave Pole Up-and-Back Competition, and the Freestyle Flying Disc Competition. Take a look at some of the action! The Fetch It! competition… this is like dock diving with the added challenge of fetching a bumper that hangs above the pool. We loved this little Corgi! 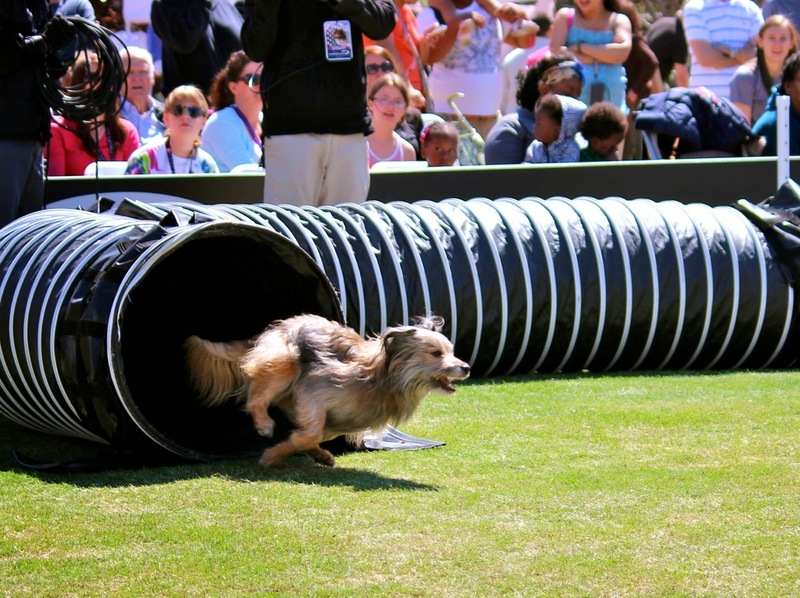 And the 30 Weave Pole Up-and-Back Challenge… take a look at these dogs go! 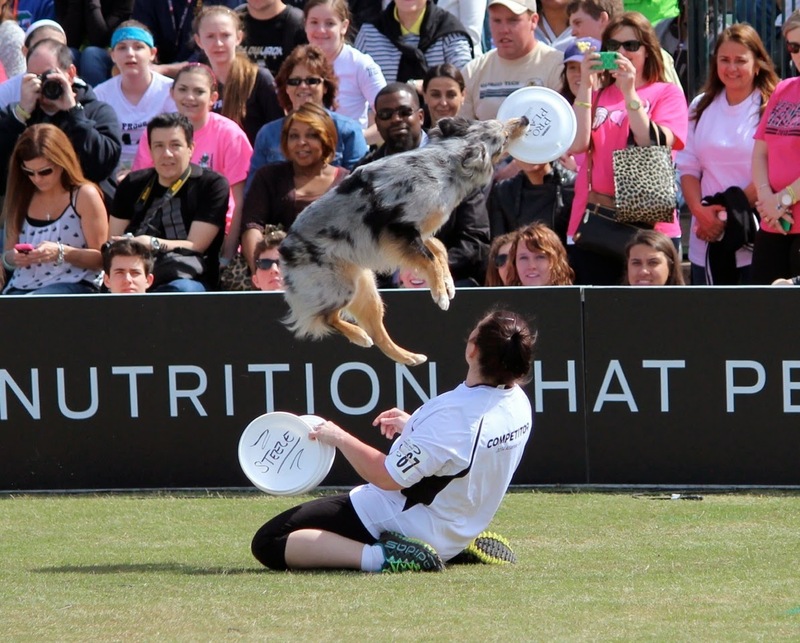 What's your favorite dog sport? Do you have plans to try something new soon? If you haven't entered yet, our FitDog Friday anniversary giveaway is still open. Click here to learn more and enter! The fun and games continue every Friday with FitDog Friday, the weekly Blog Hop brought to you by To Dog With Love, SlimDoggy and Peggy's Pet Place to promote a healthy active lifestyle for pets (and their people, too!). Join in every Friday by linking up your FitDog story or visiting the blogs in the Hop. 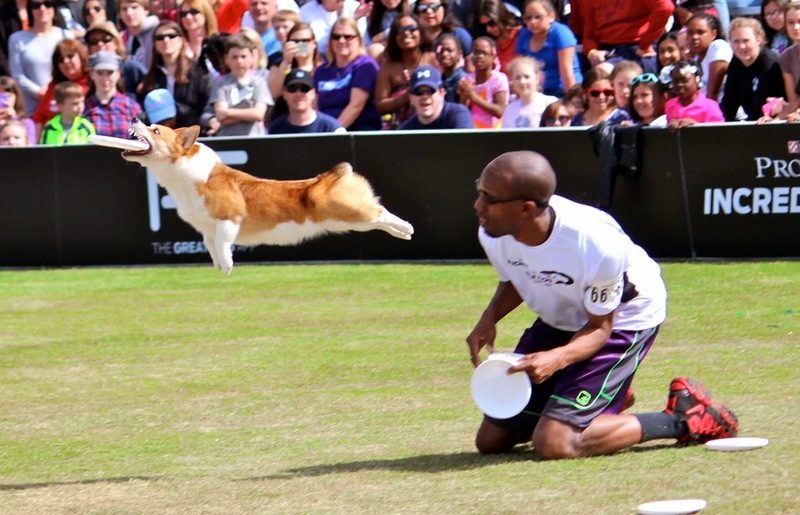 We love that corgi too! :) What a lot of fun. We definitely plan to do more swimming this spring- the dogs never showed much interest in swimming before last summer because we live in the land of perpetually cold water. But when we are places with warm water (which we will be a lot in the coming months) Wilhelm and Brychwyn love to dive in! Nice to see people and their pets having fun after the long brutal Winter. It is great Spring has sprung and everyone can get out there and enjoy the great outdoors again. Have a fabulous Friday. I have done dock diving and run hunt test competitions with my Chesapeakes. Great pictures. What a fun day - we may have to get ourselves down to that Western Regional! What great photos! Looks like it was a fun day! That looks so fun! 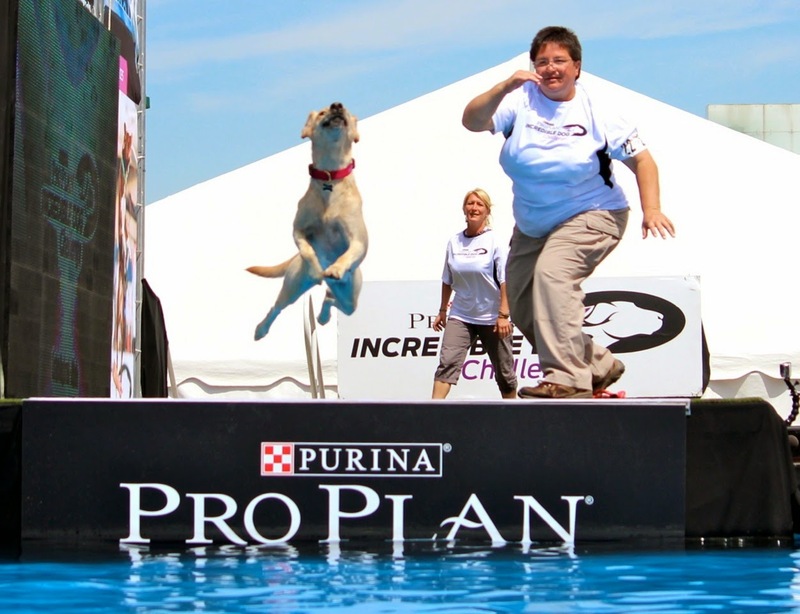 We'd love to attend the Incredible Dog Challenge someday to watch :) Good luck at your Agility trial with Rocco! How fun to catch that in person! Looks like a lot of fun! I always thought Storm would make a good dock diver, but you can't do it all...lol. Our favorite is Agility! We are just back from competing at the 2014 AKC Nat'l Agility Championship. A new thing I would like to try is Barn Hunt. That seems to be all the rage and I know my dogs would love it!